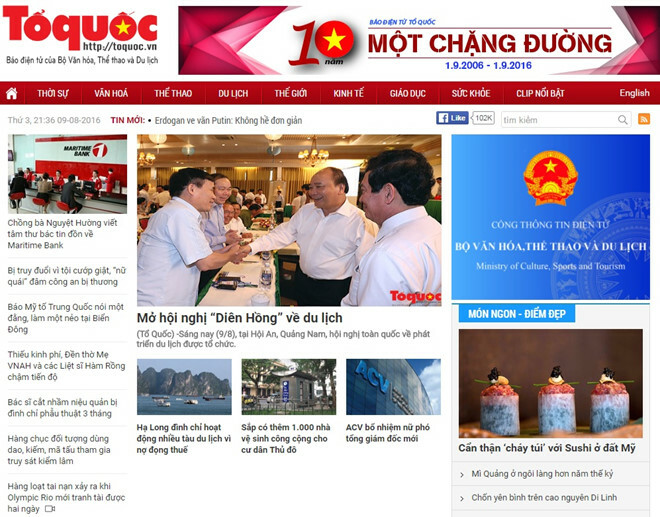 (National Times)- The official online newspaper of Ministry of Culture, Sport and Tourism will celebrate its 10th birthday this September. The National Times online newspaper was founded on the 1st September 2006, in accordance with the Decision No. 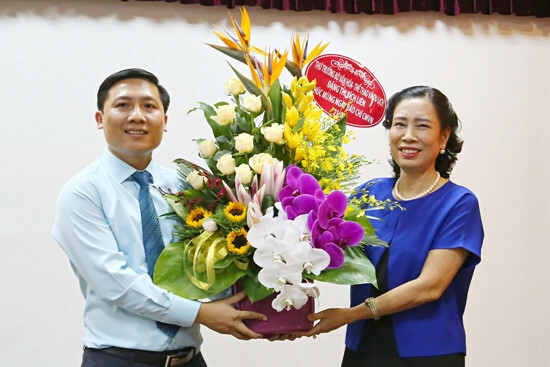 4049/QĐ-BVHTT of Minister of Culture, Sports and Tourism, on the foundation of national E-Bulletin of the Ministry of Culture. 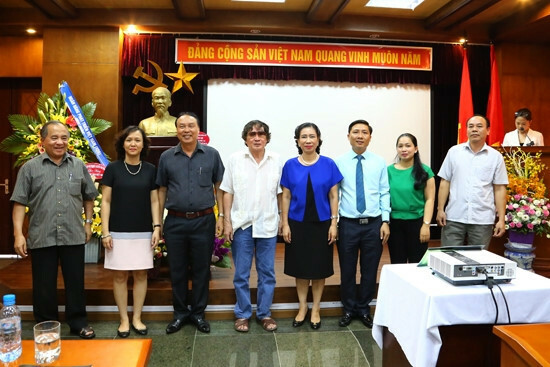 National Times soon established itself as one of the leading online newspapers in the country, as well as being one of the first 10 publications in Vietnam licensed for online activities. From a humble beginning with limited amount of resources, journalists, editors etc., with the care and investment from the Ministry of Culture, Sports and Tourism together with the endless efforts of the team, National Timers Online has grown considerably. Moving from a rental space, in 2012, the newspaper has managed to settle in a proper office. The team of journalists is continuously expanded, trained and fostered to ensure headline coverage in every aspect of news both nationally and internationally. The team of National Times Online has received numerous awards and certificates from the Ministry. As an official communication channel for the Ministry of Culture, Sports and Tourism, National Times is a trusted partner for many events and programs hosted by the Ministry. It reflects the policies, highlight the events, and engage in activities to promote the Ministry in the fields of culture, sports, tourism, acting as a platform for social comments on the activities and events in the industry, in accordance with the orientation of the Party and the State. Especially, with the role of an external communication channel, the English version of the National Times Online helps to bring the information of the newspaper to readers all over the world. The beginning of 2016 marked a new development for National Times, with the valued platform that has been built over the past 9 years, the management team at the Information Technology Center and staffs at the newspaper determine to push National Times on a new journey. The organization is strengthened, restructured, together with the improvement in operational proficiency with the help of multimedia platform and continuous training for journalists - all help to increase the quality of news. Right now, reporters at Nation Times can confidently work with the most advanced apparatus in electronic news, from producing news text, vibrant images to producing short news reports with TV technology. Online interview and live commentary are being used to provide readers with information in the most efficient manners. In particular, the look of the newspaper has been completedly updated to ensure a modern, friendly and impressive vibe. To attract readers, National Times has also regularly organized online interview sessions with experts in various fields as well as well-known artists. In the future, the newspaper hopes to continue these sessions with reputable leaders in other areas, acting as a bridge between people and the leaders, improving the status of National Times.